Jonathan Clay “J. J.” Redick (born June 24, 1984 in Cookeville, Tennessee) is an American professional basketball player at the shooting guard position who plays for the Orlando Magic. He was selected 11th overall by the Orlando Magic in the 2006 NBA Draft. 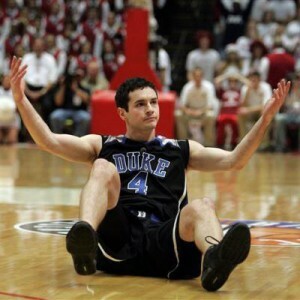 During his collegiate years, Redick played for Duke University. Duke retired his jersey on February 4, 2007. Posted in Bios and tagged JJ Redick. Bookmark the permalink.